economical and accessible, shirts - sheets. 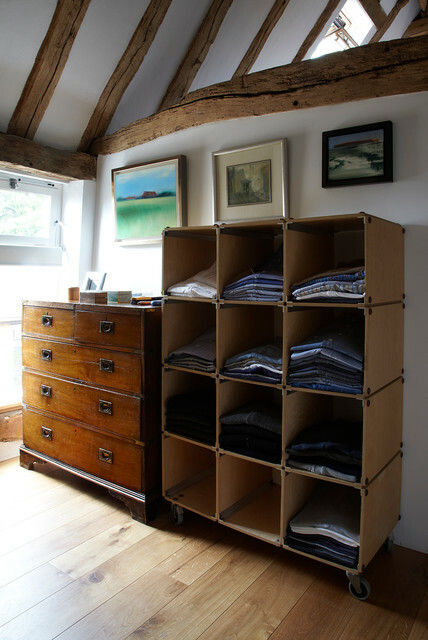 Furniture, where can I get jean storage boxes? open and can see each cubical. use for dogs.